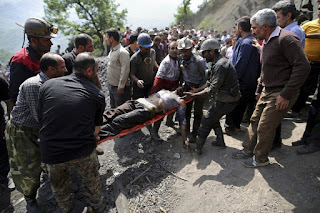 TEHRAN, Iran (AP) — A coal mine explosion that struck northern Iran killed at least 35 people, semi-official news agencies reported Thursday, as rescuers worked a second day to reach those trapped inside after the blast. The Fars, Mehr and Tasnim news agencies all carried similar reports Thursday morning. 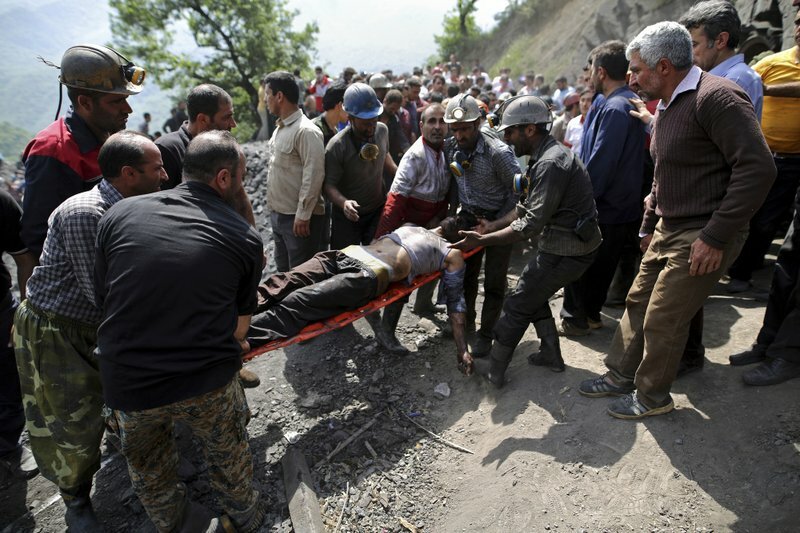 State media did not immediately report on the rise in the death toll in the disaster Wednesday at the Golestan province mine. In a live broadcast by state television, Sadegh Ali Moghadam, the provincial director general of disaster management, said 22 dead bodies had been recovered. Provincial spokesman Ali Yazerloo said the blast happened at 12:45 p.m. local time (0945 GMT) Wednesday. Several officials blamed the explosion on accumulated gas and said it was affecting rescue efforts. At least 25 people were hospitalized over inhaling the gas during rescue efforts after the blast. After the blast, ambulances, helicopters and other rescue vehicles raced to the scene as authorities worked to determine the scale of the emergency. There was confusion about how many miners had been trapped inside, with numbers ranging from dozens to up to 80. Oil-producing Iran is also rich in a variety of minerals. Iran annually consumes some 2.5 tons of coal but only extracts about 1 million tons from its mines per year. The rest is imported, often consumed in the country's steel mills.